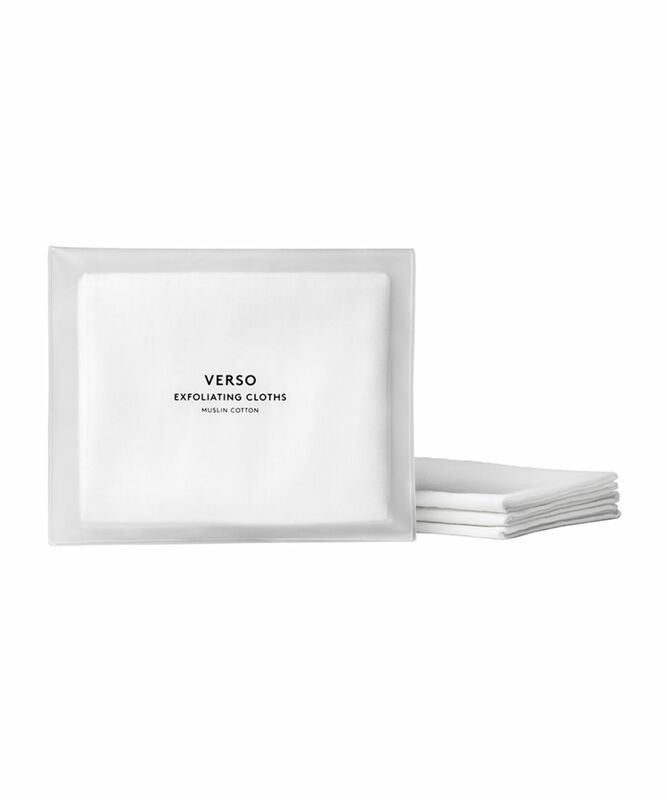 A set of three super-soft skin-polishing muslins, Verso’s Exoliating Cloths are perfect for use with their Foaming Cleanser, to gently refine your skin’s texture. They're housed in a chic, clear, plastic pocket that's perfect for travel. A brand new dawn in age-defying skin care, Verso have revolutionised the future of retinol with their signature ‘Retinol 8 Complex’. Eight times more effective than typical retinol in the same dosage, this phenomenal range harnesses all the collagen-boosting, wrinkle-plumping, skin-rejuvenating benefits of vitamin A, in a potent concentration which eradicates the risk of irritation. 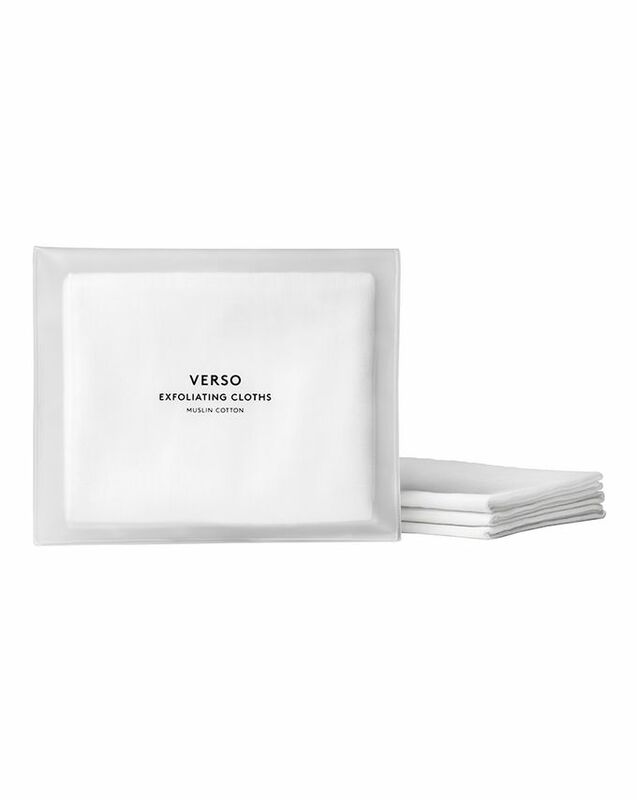 Named after the latin for ‘reverse’ and housed in exquisite, award-winning packaging, Verso have made anti-ageing as easy as 1, 2, 3, (4, 5). Use to gently buff your Foaming Cleanser in to skin - working over your complexion with small, circular motions to gently refine skin texture and stimulate circulation for a healthy glow.